Search, compare and book for Campervan Hire in Perth. We Guarantee the Best Rental Prices in Perth - if you find cheaper, let us know! Campervan & 4WD Rental Perth from $29 Per Day! Looking to Hire a Campervan in Perth? Perth is the most isolated city in the world. And as such, one would expect it to have its own identity - removed from that of the Eastern cities. This is indeed true. Perth is a modern Australian city with a truly nostalgic feel to it. Australia's West Coast offers travellers the greatest campervan experience of their lives. With incredibly beautiful coastal towns in the south (think Margaret River, Albany & our favourite - Esperance) and red desert sands blowing defiantly away from the crystal clear blue waters of the north (think Broome, Exmouth and Cape Leveque), Western Australia is a favourite amongst international travellers. There is so much to of Australia to see and so many ways to see it. Today, even the most remote sections of this vast continent are accessible, particularly to campervans. For some, exploring Australia will mean touring the main highways and staying in motels. Others will tow their accommodation with them on a motorhome hire vehicles. Others will opt for a campervan rental with sleeping and cooking facilities, and yet other group will choose to be the true adventurers, will load a tent on top of the 4x4 hire and go bush. In all cases, some careful planning will enhance the journey immeasurably. Since driving conditions in the outback vary greatly, you should always consider the right campervan hire Perth for your travel. Campervan rental are the best when it comes to exploring Perth. Check out our best pricing and book your travel with us. We provide the best campervan hire pricing in Perth for budget backpackers in Australia. 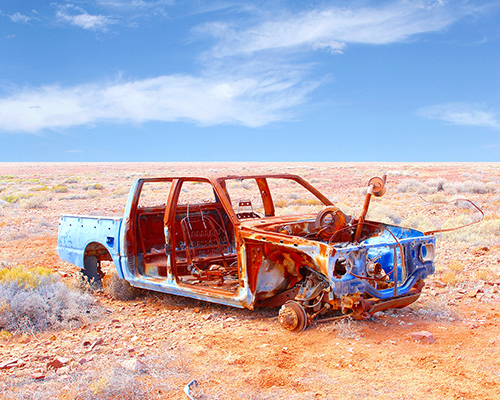 No place in Australia can capture the imagination like The Nullarbor. An epic adventure across two states, renown for desert solitude, massive sharks and wild Southern Ocean Bunda Cliffs. Few Australians have traversed this road, but those who have, will never forget the experience… There’s something special about going to a place that nobody knows about. It’s an adventure with no expectations, only a curious anticipation. The Nullarbor is yet another place that very few Australian’s will ever dare to cross. And even fewer tourists. Hire a Campervan in Perth from $29 Per Day and explore the vast wonders of Australia's Nullarbor region!